Gifts to The Pine Crest Fund fuel faculty excellence, a vibrant and inquisitive student body, robust arts and athletics programs, and more. By contributing to The Pine Crest Fund, you are demonstrating your confidence in Pine Crest School’s mission and making a positive impact on each student’s life, every day. The people and programs you will read about on this page provide a snapshot of how Pine Crest’s collaborative learning community is preparing students to change the world. On behalf of our 2,627 students, THANK YOU! Read why The Malis Family is passionate about preparing students for the future. Timothy Ingham '83 believes the Fine Arts provide a richer experience of life. Find out why. Learn why Brian Meller '17 has been giving to The Pine Crest Fund for two years. Find out why supporting faculty excellence is important to the Di Capua Family. Learn why Joe Juisai '93 credits his success to the foundation that Pine Crest helped him develop as a student. Read why failure IS an option for 7th Grade Science Instructor Roslynn Jackson. 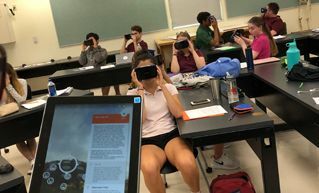 The Upper School received a Google Expeditions portable virtual and augmented reality cart at the beginning of the 2018-19 school year. The set houses thirty individual device sets, a teacher tablet for guiding “tours,” and its own wifi to host adventures. This equipment allows teachers to take students on trips inside the human body or to remote ecosystems. So far this year, our students have traveled through cells in the body and to the California Academy of Sciences in San Francisco to study trophic levels in ecosystems. We’re looking forward to seeing where else this equipment will take us, and what new learning experiences we can create. Entrepreneurs have an exceptional ability to see and seize upon new opportunities, the commitment and drive required to pursue them, and an unflinching willingness to bear the inherent risks. This year, Pine Crest students have been given the opportunity to develop this entrepreneurial spirit in a new space designed by students for students through Pine Crest Entrepreneurship Dedicated to Global Engagement, or PC EDGE. PC EDGE encourages students to think creatively, develop innovative solutions to real-world problems, and take direct action to create a new product or design. 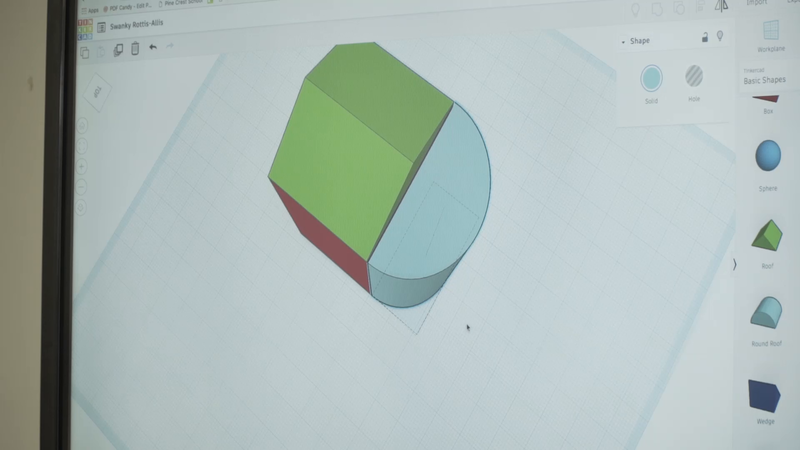 Through the principles of social entrepreneurship and innovation, students are designing prototypes and computer applications to solve some of the world’s most pressing problems. On behalf of our student innovators and entrepreneurs, thank you! Drawing upon inspiration by one of our School's beloved nurses, a Pine Crest second grade student imagined and designed a prototype to assist stroke patients suffering from upper extremity weakness. The end result: a system to help patients tie their long hair into a ponytail. 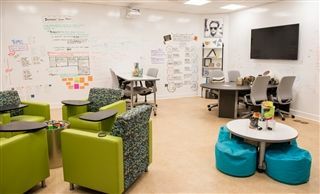 The student was guided along the way by Pine Crest teachers and innovation specialists, using the tools available in the Zimmerman Family iLab. 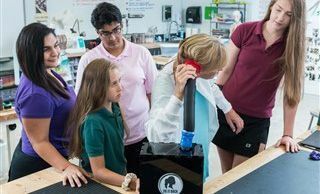 Pine Crest Middle School students saw the second grader’s prototype and committed to moving it forward. The team collaborated on a new prototype, added functionality for mastectomy patients, and entered it in the national Technology Students Association (TSA) competition. Middle and Upper School students then collaborated to take the prototype even further, and pledged to create a device to instill independence in patients with limited mobility. Over the summer of 2017, the team built a new prototype, adding a feedback sleeve and mobile application. The team entered their concept in the Built By Girls Challenge competition, aimed to increase the next generation of female leaders in technology and innovation, and the Girls in Tech AMPLIFY Women's Pitch Competition. Updates on the team's progress will be posted here throughout the year. In the meantime, we wish the Tie it Back team the very best...your Pine Crest family is rooting for you! Click here to watch a video describing the inspiration and details behind Tie it Back. 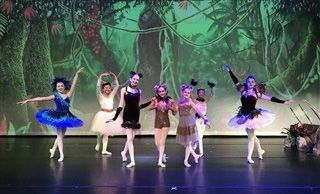 Fine Arts performances are taken to the next level through the purchase of high reflective performance projection screens. The screens allow backdrops for performances to be digitally enhanced so that actors and dancers alike can transport their audiences right into the stories they tell. On behalf of our student-thespians and dancers, thank you! During the 2017 spring semester, members of the Pine Crest Upper School Photography Club visited the Brookdale Willowood retirement home equipped with DSLR cameras and a few interview questions. As soon as the team arrived, a line of anxious residents immediately formed. The seniors approached the camera with pampered hairstyles and their finest clothing. Talk of the photoshoot began to circulate the wide corridors of the retirement home. 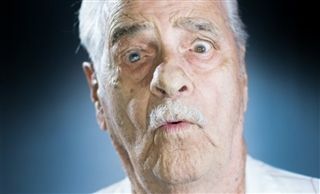 While some residents resorted to a conservative smile, others showed no restraint for playfulness in front of the lens. Interviews were later held by the students. Making use of the voice recording app, StoryCorps, the interviews were documented and uploaded to the Library of Congress archive, where they may be accessed and listened to by future generations. Pine Crest students heard first hand testimonies of great resilience, migration, and joy. The pictures were sent to the families of the residents (some of whom they see very infrequently) and later printed to be exhibited in Pine Crest's Blosser Gallery as part of the "Retrospective" exhibit. In this exhibition, the interviews (accessible through a QR code next to the prints) are summarized on paper along with the interviewee's name and age. Click here to listen to the interviews. Pine Crest's Office of Community Service is currently in contact with Brookdale Willowood to coordinate an event where the residents that were featured in the gallery travel to Pine Crest to see the Blosser Gallery exhibition. On behalf of our student-artists, thank you! 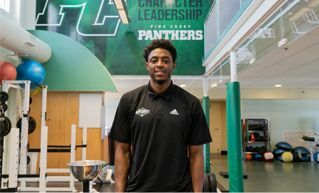 Pine Crest alumnus and Houston Rockets point guard Brandon Knight ’10, gifted the School with the modernization of the performance training facility in Lane Hall. The Brandon Knight Sports Performance Center offers student-athletes cutting edge equipment intended to enhance training and rehabilitation. The newly renovated training center is furnished with equipment to promote the longevity of the athletic careers for both male and female student-athletes. It includes an indoor turf area for training, new cardio equipment, a more expansive and cohesive weight selection, and newly developed technology to minimize frequency and severity of head trauma. 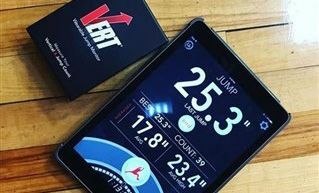 Pine Crest School Athletics is the first non-collegiate program in the United States to use Vert, a wearable technology that allows athletes to track their progress in real time with data analysis. The girls’ volleyball team wore sensors that measured how they jumped during games and were able to analyze that data to maximize their hitting ability. Vert is the official performance technology for USA Volleyball. On behalf of our coaches and student-athletes, thank you! Thanks to the generosity of donors to The Pine Crest Fund, Pine Crest varsity football players wear state-of-the-art helmets equipped with helmet-sensor technology. This technology sends impact data to iPads, which are monitored by Pine Crest athletic trainers on the sideline. In addition, the helmets are five-star safety rated — the highest rating possible. 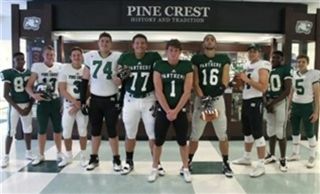 Safety is top priority at Pine Crest, and donated funds help coaches provide the best equipment. Safety goes beyond equipment. Pine Crest coaches receive specialized training in a positive, developmental approach with safety and injury prevention as the utmost priority. Coaches improve upon their craft by attending conferences and clinics throughout the year. Coaches and student-athletes have access to a fully-staffed, fully-equipped training room and weight room. Pine Crest's facilities and equipment are sound and safe, and a strict concussion protocol is immediately implemented should any student-athlete experience a high-impact incident. Click here to read additional information about athletics training and safety at Pine Crest. On behalf of our coaches and student-athletes, thank you for supporting safety! One of the many areas that The Pine Crest Fund supports is faculty excellence. All year long, faculty, administrators, and staff are able to take advantage of stimulating professional development activities — sometimes right on campus. Those opportunities include returning to school to earn a secondary degree. This year, 33 teachers are working toward their master’s or doctoral degrees in a variety of fields, ranging from genomatics and sequence analysis to elementary education. Read about Anthony Panella's, Assistant Lower School Head, journey back to school to earn his doctoral degree in education with a specialization in educational leadership. 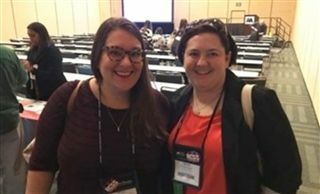 Advanced Placement (AP) Psychology instructors Kerri-Anne Alexanderson and Trish Everett presented at the National Conference for Social Studies recently. The title of their presentation was “Are You a Hamilton or a Burr? Personality Theory through ‘Hamilton’.” The presentation gave participants an opportunity to blend their love of the musical “Hamilton,” the history of the story of Hamilton without the historical inaccuracies, and psychology to teach students about personality theory. Gifts to The Pine Crest Fund allow for our faculty to learn, and set standards for creativity in the classroom. On behalf of our faculty, thank you for supporting professional development opportunities! 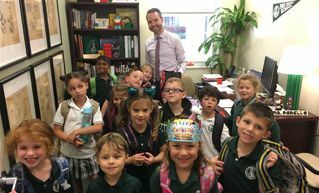 Three years ago, Mr. Aaron Gillego arrived to Pine Crest’s Upper School as a new teacher with a vision. Mr. Gillego wanted to provide his AP English Language students with a platform, beyond the traditional written paper, to express their beliefs, ideas, and aspirations. 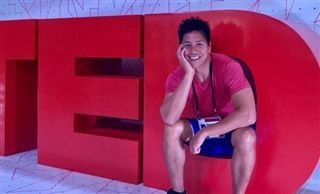 He hit the ground running, launched TEDxPineCrestSchool, and has not stopped since! In August 2017, Mr. Gillego proudly represented TEDxPineCrestSchool at TED Global in Tanzania. Mr. Gillego attended a full day of workshops during the pre-conference for TEDx organizers, which was attended by more than 150 organizers from more than 60 countries. During the workshops, Mr. Gillego learned about the unique and innovative ways other organizers utilize the TEDx platform to engage their communities, and how they have expanded their events in ways that are meaningful, cost-effective, and impactful while not losing sight of the core spirit of TED — "ideas worth spreading." Click here to watch the post-trip video that Mr. Gillego made for his students to watch! Since the inception, TEDxPineCrestSchool has provided Pine Crest students with a platform to showcase their projects and ideas that are relevant to the world. The event, in turn, continues to spur more ideas among the student body, creating a virtuous cycle that pushes our students to innovate and create. Pine Crest School now has a full-fledged TEDx license for TEDxPineCrestSchool, after three years of operating under a provisional license. Mr. Gillego and his students may no now expand and grow TEDxPineCrestSchool, and plan to do so incrementally, without sacrificing the vision and quality of the program. The next TEDxPineCrestSchool will take place on March 1, 2018. Details will be posted here as soon as they become available. 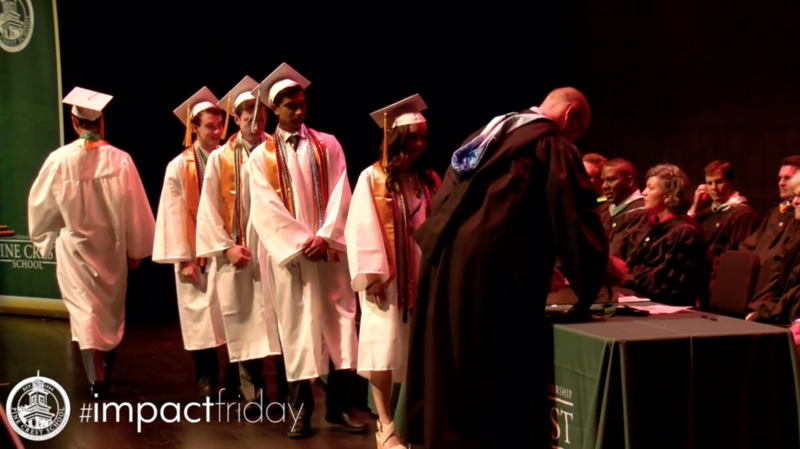 In the meantime, click here to view Pine Crest student presentations from previous years. On behalf of our faculty, thank you for supporting extraordinary professional development opportunities! As a not-for-profit independent school, Pine Crest's fundamental idea is that a premier college preparatory education should be open to the brightest students, regardless of their family's financial means. We are committed to capturing a wider base of student eligibility and socioeconomic diversity as it is important to build and sustain a diverse community. Our School’s strength relies not just on the quality of the faculty, the state-of-the-art facilities, and the breadth and depth of our educational offerings, but on our vibrant and inquisitive student body. For 2017-18, Pine Crest School tuition ranges from $21,155 for pre-kindergarten to $31,030 for Upper School. Thanks to generous gifts from alumni, families and friends to The Pine Crest Fund, Pine Crest is able to offer financial aid to mission-appropriate families. 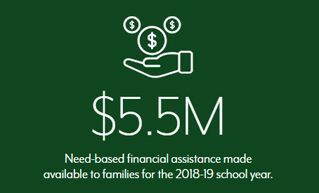 In 2017-18, Pine Crest awarded $4.7 million in financial assistance, reaching approximately 18% of our students whose families demonstrate need and who would otherwise not be able to attend our School. 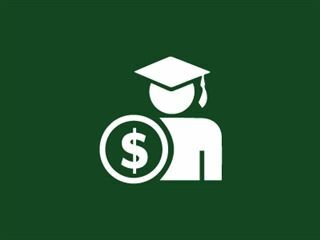 Click here for more information on Pine Crest’s financial aid program. On behalf of our entire School community, thank you for supporting families who value the Pine Crest mission. Pine Crest School Inclusion Aid provides resources for students who could not otherwise afford enrichment and academic activities that are outside of the classroom, enabling the full Pine Crest School experience.